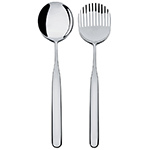 Collo-alto is the name chosen for this collection characterized by a long and narrow neck transitioning from the handle to the heads of the cutlery. 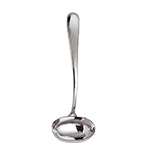 The thinness imparts a sense of lightness to cutlery, which are made by contrasting straight and curved lines as well as by combining wide and narrow volumes. 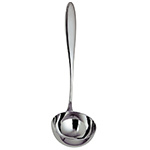 The cutlery set Collo-alto, designed by Inga Sempé, is derived from the elegant spoon for serving risotto she designed. 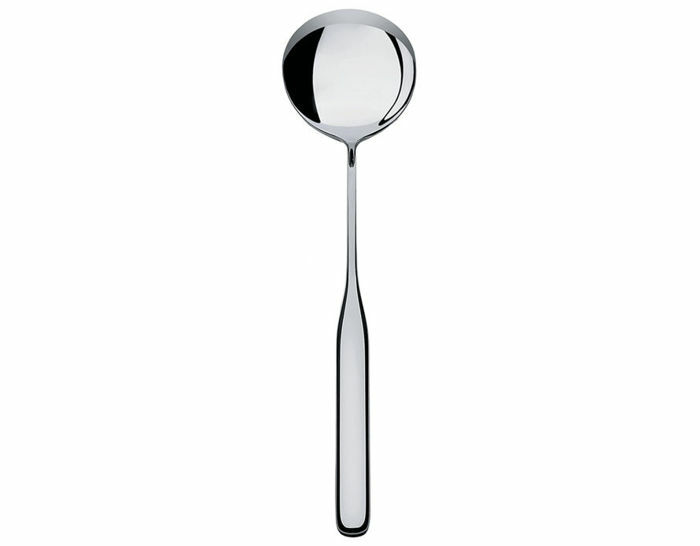 The project for the cutlery that makes up the service develops the basic features of that first spoon, distinctive for the contrast between curved and straight lines. 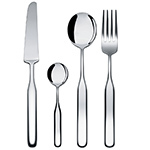 The elongated and narrow shape of the segment that connects the handle with the active part of the cutlery gives the name Collo-alto (Italian for 'long neck') to this collection. 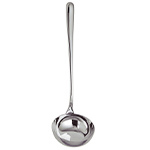 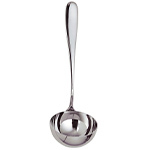 Collo-alto ladle is offered in 18/10 mirror polished stainless steel.